When I saw what was being released for the Nordstrom Anniversary sale this year I decided it was finally time to get myself a card and shop it with early access!! I'm so glad I did even though I'm still late to the game this time and a lot of my favorite things were already sold out. But I got to leave the kiddos at home for an hour and shop till I dropped AND I managed to score some awesome stuff- total Win-Win! I've linked everything I bought and included sizing recommendations. Jeans: Madewell (size down) Top: Leith (TTS) These jeans fit Ah-mazing and are super comfortable. The waist hits at the perfect spot. Also love this top by Leith and the flare sleeve and cinch waist as added detail. Also comes in two other colors. Corduroy Trouser: Top Shop (TTS) Crop Sweater is Top Shop but there isn't a link for it on the site. I'm guessing its an in store only item. But it's amazing a soft and has button detail on each side. Stripe Duster: Top Shop (TTS) LOVE this! Y'all know I can't say no to a good duster. Jumpsuit: Surplice (TTS) This comes in 3 other colors. Perfect to layer a leather jacket over for cooler weather. Hiker Boot: Steve Madden Totally obsessed with these! 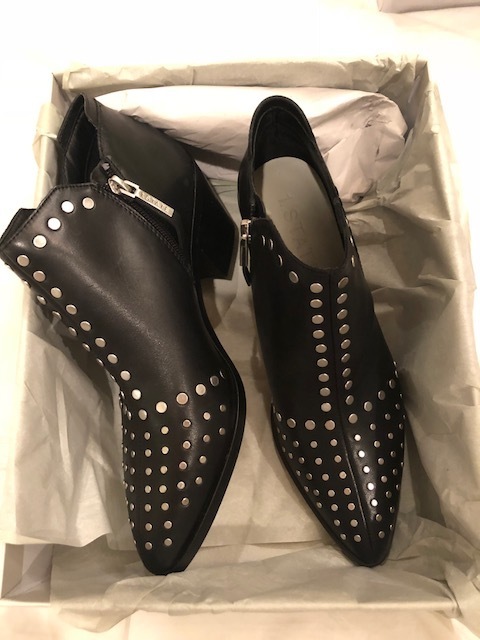 Studded Loafer: Sam Edelman White is the color for shoes and booties this fall and these are one of my favorite finds! Can't wait to wear these! Studded Booties: 1. STATE These bad boys come in 3 other colors as well. I’m an immigrant. 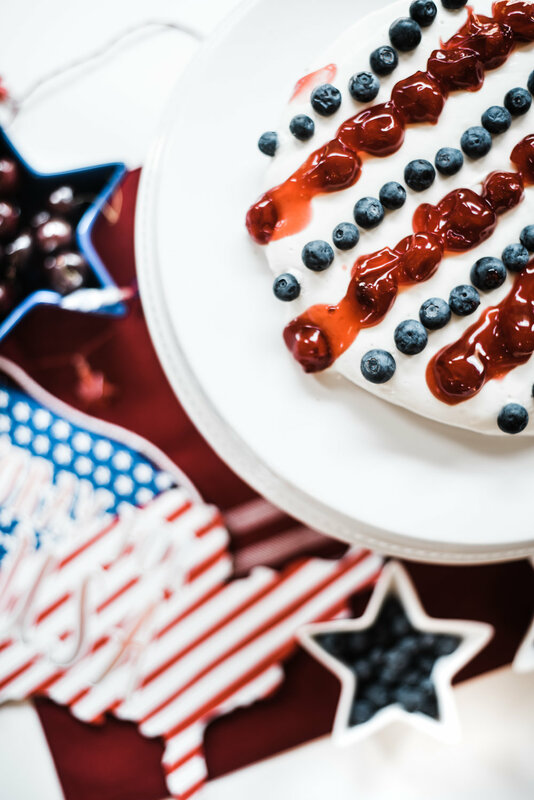 I came to this country for the same reason everyone does- because this country is great and in it’s greatness offers more opportunity than anywhere else in the world. I can count so many close friends here, from all over the globe- Mexico, Canada, Ukraine, Iran, Israel, China, and the list goes on. But we all came for one reason- because The United States offers the ability to build and create something where there once was nothing in a way that no other country can. Texas offered my husband and I the greatest freedom to be able to build and grow a business but it wasn’t easy. Immigrating was a long, hard, draining, sometimes fearful, expensive process. There were times upon leaving the US when I would worry that we possibly might not be allowed back. I always had anxiety spending hours in secondary questioning at customs. There was once a time in our process for a new Visa where we were missing one of the required documents and were temporarily denied until we got it. I remembering studying for, and sweating my way through my citizenship exam. I still feel sometimes like it isn’t real or that it can be taken away. It feels fragile. One of the greatest joys in my life was finally becoming a US citizen but it was through a lot of blood sweat and tears. I couldn’t imagine coming here, not knowing the language, running from something sinister and having no documentation at all. The anxiety and fear would be tremendously overwhelming. That being said, I don’t neccesraily think it's right that while following the law it was easier in certain respects for others to come into this country without the same due-process, so I do indeed think we need serious immigration reform; not to make it harder for people, but rather to make it EASIER, and most importantly- SAFER! Before I point out some things that I haven't yet heard a peep about on social media in regards to all of this, I just want to make clear that I do not in any way condone what has been happening at the border. I find it disgraceful disappointing and abhorrent to say the least. I also do not even want to consider this as a Dem vs Rep issue or represent it in that way, however I do feel it's right to point out what I see as the biggest reason we have gotten to where we are right now. I find myself questioning why there hasn't been any immigration reform in the past 30 years. Not a single bill has been brought forth and passed in order to make changes to a desperately broken and lacking system that puts thousands upon thousands at risk trying to get in. I asked myself why both parties haven't been able to come together to effect any sort of change and a huge part of this answer and what the Democratic Party doesn't want you to know is that an increase in legal immigration and vast immigration reform threatens one of their lifelines in a major way- Unions. Unions have a stranglehold on a low skilled labor base in this country and immigration reform threatens that stranglehold. It's the same stranglehold, that while paying lip-service to reform and the plight of immigrants and immigrant minorities, has caused The Democratic Party to drag their heels in a serious way for the last 30 years (16 of which they had the opportunity themselves to effect change and the rest the opportunity to come to the table in a fair way). Both parties are guilty of paying allegiance to a special interest rather than what's right for our country. It just so happens that in this case Unions are the pressure hose down the throat of Democrats. I find this very troubling given the rhetoric the Democratic Party has used in regards to immigration reform. They are fearful of losing Union support and conversely, alienating their minority voters. They are walking a fine line and trying to keep everyone happy and they are misrepresenting themselves in order to accomplish this and it is also therefore in their best interest to keep anything in regards to immigration as status quo and this has been our biggest rode block to any kind of viable policy reform. I'm not just throwing shade to the left here- there's plenty of shade to throw in all directions including the right (keep reading for that) and even to myself. But if I'm going to address an issue and try to influence anyone to act I have to do that with what I see as a responsibility to explain my point of view and any conclusion that I've come to. I do not want to misrepresent myself in my call to action against Family Separation, and I continually found it bothersome that our number one roadblock to immigration reform has not been mentioned or even alluded to in anything I've read at all in social media over the course of the last few weeks. Family Separation isn't just a current problem at the border even though that's where it's cut is the deepest right now. Family Separation has been a long hard tough reality in regards to illegal immigration for far too long- the father who comes in search of a better life and to send money back home but due to not having any status can no longer see his children. The grandmother who is left behind. The son who needs a new way to try and support his family while creating better opportunity for his own future generations and the list goes on. Because of a lack of reform people are forced to enter this country illegally which in and of itself rips them from their families because without status they can never return and be assured re-entry. If any good will come from this it is that a year from now we will likely see new bills being signed into action. It saddens me, and makes me feels ashamed that for years while this has been going on no one, not one of us has sounded a single horn really. Not until a crisis is purposely created on the backs on children. Is this really what it had to take? Nothing ever gets done until suddenly there is a public outcry, panic, and crisis and I think we all know that what has happened at the border was a shameful, purposeful tactical move to create just that. I look to myself for not caring enough about this until babies were being ripped from their mother's arms. The rest of us should also feel the weight of this by not speaking out sooner. I can't even mention my contempt for Trump's choice while wracking my brain to think of another way to create such vast change in such a short period of time and although I come up short on ideas his intentions remain completely abhorrent to me for many reasons. THE END NEVER JUSTIFIES THE MEANS no matter what our current reality or situation is. The Republican Party may gain the credit for reform in history books however the stain they will leave on themselves for using children to achieve their means will never fade. Not in history books or in the minds of any American with a conscience. It completely contradicts what their own agenda for reform is after. Hopefully this move to force action will mean easier, non-capped entry for anyone wishing to make a better life for themselves. This will mean that businesses will be more likely to keep operations domestic since they can draw upon a worldly base for employment. It will be a merit based system like Canada and every other country in the world, but because of that the people who wish to come here will also be afforded better and more bountiful opportunity than ever before. Not only that but being granted status means they can be issued a lot of the same privledges and freedoms as other Americans such as the ability to come and go. We can put a massive dent in our problem of human trafficking and its many horrors. I just wish so hard that this didn't have to come at the cost it did. Something that I've always hoped for and had a vision of has been tainted by such a cruel and barbaric act. Are there worse offenses being carried out all over the world? Yes, of course, but that doesn't give us the right to abandon our values and embrace ANYTHING just to get a job done. This is what sickens me. That we as Americans stay silent until we are pushed too far out of our moral zones. We should have been advocating for the thousands and thousands of people forced to try and come here in the most deplorable conditions suffering injustices, trafficking, separation from family and even risking death in order to try and get in, and all because of a backwards immigration policy that suits no one except a select few with a vested interest in not having competition from a new labor base. Maybe my view won't be popular. Or maybe some just not willing to accept the flaws in their own parties. Democrats give up your indebtedness to unions and Trump, how dare you do such a thing to achieve your means. And shame on all of us for not speaking up sooner! After thinking, talking and reading through all the who's, what's, how's and why's, I've decided the most important question I could ask myself, as an American but especially as a parent was "is this right? Is this ok to bring about change?" And the answer was a hard NO. Around the very same time that I became a United States citizen I also became a mother and since becoming a mother I can tell you this- I could withstand all the physical torture in the world and endure ANYTHING if it meant saving my child. But take my child away from me and I die the most slow and painful death I could possibly think of. It is worse than any physical torment I could ever conjure. I would wish it on no one, no matter their circumstances. This can not be part of our process ever (obviously excluding normal circumstances of endangerment, abuse, or committing an actual punitive crime). If you struggle with where you sit politically, or if you think that because you vote one way that you also need to be loyal to all that that party does and says, please understand that you can still align yourself to the right or left AND simultaneously call for what’s right. No one party or president will get it right, or do right by us all the time so let's not pretend that just because you are “this” or “that” or voted “this way” or “that way” that you now have to cement yourself to all that that party does. This goes way beyond Dem vs Rep, it’s Right vs Wrong and yes, a lot of the time both of those terms can be a bit blurry, but not in this case. Let these children’s cries for their mothers transcend your own politics. My best advice for anyone feeling “traitorous” to their political affiliation by saying something- don’t be traitorous to your own heart first and foremost. I would consider myself to be more of an independent than anything in terms of the political spectrum so maybe it’s easier for me to do so. I’m used to straddling the fence and defending fiscally conservative politics while also embracing socially liberal ones. There is no party that I truly fit into in all regards and I suspect that there are a lot of others like me out there. So rather than trying to sort out who’s right and who’s wrong and who wrote what law and who didn’t and who enforced what- just think about this issue independently of all that if it makes it easier. Throw out all the bipartisan bullcrap and ask yourself how you truly feel about people who are trying to come to this country having their children taken from them for the crime of wanting a better life. Ask yourself if you've ever felt ok with people having to cram themselves into vans and hide subjecting themselves to terrible life threatening conditions or having to knowingly or not knowingly submit to slavery/ trafficking to get in to the United States. If you're answer is that you are uncomfortable with all of the above then now is the the time to speak up to solve the atrocity that has been perpetrated at our border and to create enough pressure to solve the atrocities that people have been suffering for decades trying to come to the US. We can't just stop our outcry after all these children are returned to their parents. We need our voices to continue until we've a system in place that is fair and and that makes sense and that eliminates the "need" for incarceration. We need to put enough pressure on both sides so they can come to an agreement for reform. In the meantime there are still children separated from their families and it doesn't seem clear yet what will happen in these scenarios so these families need help in being reunited. If you feel like you want to help but feel helpless or like you aren't even sure where to start- below are a few ways you can help families who are still separated. I think when people feel helpless they tend to also be quiet, but if our President signing the executive order against Family Separation tells us anything it's that another great thing about America is that when its people speak, and what's being spoken is true and right, the powers that be will listen. So make your voice heard, Be part of the voice against Family Separation and let’s not let the noise quiet until we are sure every child is returned to their parent’s arms and that this practice will never happen again through significant policy change. 1) Donate to the "Still We Rise Auction" or bid on items you like! This Auction will take place on instagram on July 2nd to July 9th. All proceeds will support RAICES. 2) Call your representatives. Tell them your thoughts and what you hope to see change. 3) Write letters to your representatives, congress, the President himself! 4) Purchase the TOGETHER tee. 100% of the proceeds go to RAICES. 5) Create your own fundraiser! Sell baked goods, lemonade etc. Or do a car wash and donate your proceeds. One thing that is always going on in our house at any given time of day is drawing, coloring, painting or creating. I love to watch my kids express themselves through shapes, colors, drawings etc. Kids are pretty good at organically just pulling from their own imaginations but sometimes they need a bit of direction or a little push. This is where our experiment with "Circle Art" came in. Circles are one of the first shapes that kids learn to recognize and to recreate within their own doodlings so this activity is perfect for 3-4 year olds. And to help us out with our project we used our 78 PIECE CREATIVE WOOD ART SET by Art 101 USA. This particular set is available for purchase at Walmart and is perfect for all ages. If you haven't heard of Art 101 and you have kids who love to color, draw, paint and create you are going to want to familiarize yourself with this brand! We have been using their products for a while now and I couldn't be happier with their quality. Everything they design is with children in mind and my kiddos especially love the multi-media kits to maximize their creativity. Sometimes they can get bored with using just one type of medium. 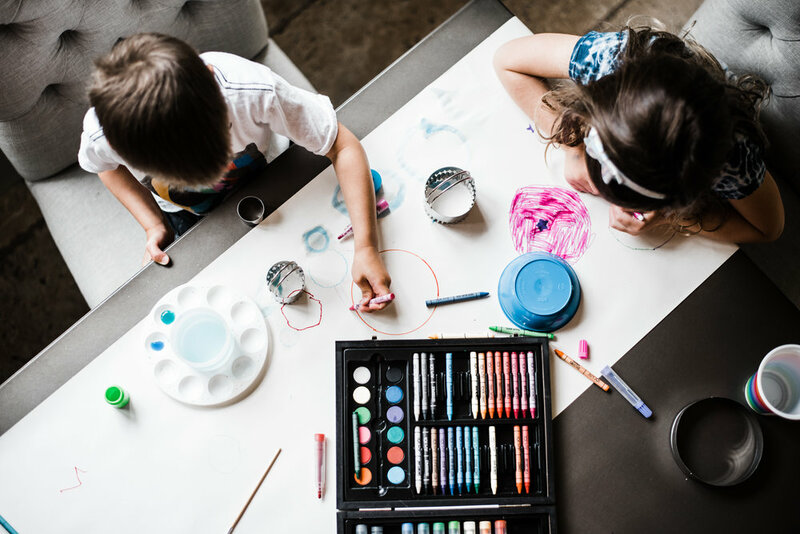 By encouraging them to mix paint, with pastel, and crayons etc, their creativity blossoms and their attention span tends to increase quite significantly. It's a joy to watch them surprise themselves with what they can come up with! For our Circle Art Project I had Piper and Sawyer each search for things around the house that had a circle shape and that they could trace onto paper. I think their scavenger hunt for circle shaped items was just as exciting for them as the actual artwork! They came back with a whole assortment of items. The rest of this activity is so simple as a parent you can either participate or leave them to it. They simply trace the shape of their items or they can draw circles free hand. In our case I encouraged them to try overlapping their circles or to turn their circles into images like the sun etc. This ended up being a great exercise for us in terms of working on some manual dexterity as well as shape and color recognition. The great thing about this art project is that it can be done on as large or as small a scale as you like. If you just need ten minutes of peace and quiet to make a phone call or do some banking all you need is paper and some circular items. If you are looking to keep the kids busy and engaged for a longer period of time then roll out the Kraft paper and have at it! 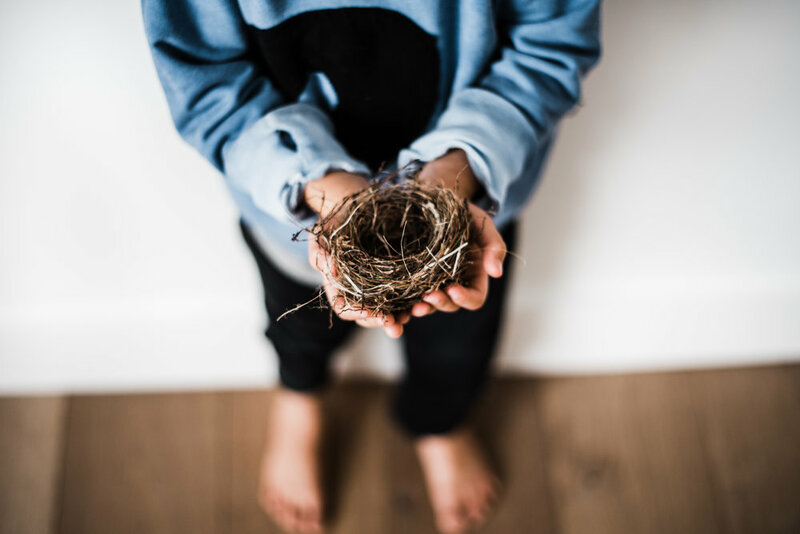 As a busy mom another aspect I appreciate so much about this activity is that it can be as messy or as mess free as you like depending on what mediums you choose. We decided to include the watercolor paints that came included in our 78 Piece Creative Kit so needless to say it was a little more messy than it otherwise would have been. We spilled our water multiple times and since we weren't using a water color paper the colors bled quite a bit but we were actually quite thrilled with the effect it created. Since we used a huge roll of paper for our Circle Art when we were all finished we selected our favorite parts and cut them out to pin up on the fridge and our bulletin board. I'm excited to try this one again using triangles and other shapes! The possibilities are endless, especially with our mixed media art kit from Art 101 USA. Be sure to check out their wide selection of products geared towards kids on amazon, World Market, Target, and Walmart! So recently, Piper went to bed, grew two inches in the night and the next day could no longer fit into any of her clothes. At least that what it seemed like! She had such a major growth spurt but I didn't really notice right away. Initially I thought maybe she had gotten a little pudgy when in actuality her clothes were just fitting too small since she had grown so much. I know- EPIC mom fail (insert pace palm here). But to make up for my motherly aloofness, I did find her some killer summer dresses! She was tickled pink with everyone of them. Our first find is our favorite! I've always loved PINK CHICKEN as a children's brand for their simplistic design with a bit of whimsy. "Sweet" is the exact word I would use to describe their line. We chose the SHIRLEY DRESS which features a stinking' adorable Llama print with lace detail. Piper was immediately drawn to it and wouldn't really consider anything else. Not that I wanted her to! I love that there is an innocence to this dress. She looks like a little girl in this one. Toddlerish almost which, as the mother of a girl who is 4 going on 14, I can certainly appreciate! Our next adorable find was this bubblegum pink TENT DRESS from OMAMI MINI which is a brand we have been familiar with for a long time. Their fabrics are buttery soft and ethically sourced. As a brand Omami strives for sophistication and simplicity which is exactly what this little number brings to the table. If there was ever a dress made for graceful twirling it's this one! Rylee and Cru is one of those brands that I've followed on insta for a long time but never bought. (Their feed is visually stunning) And now I'm kicking myself for it because their clothes are genuinely amazing and I realized when our BELL DRESS showed up that I had missed out on so many great items over the years for both Piper and Sawyer. Luckily I'm a quick learner and don't tend to repeat mistakes. Their use of neutrals and a subdued color palette is everything- perfect for family photos! We paired ours with this adorable Fox Bonnet by NATIVE FABLE. Yes, their designs are as fun as their name. This is a new brand to us but I'm so glad we found it. Their prints are what little girl's dreams are made of. Since we had picked out all solids and neutrals thus far, we needed to switch it up with some fun color and print. Piper LOVED this MERMAID REPEAT PRINT RUFFLE DRESS in purple but it also comes in a super fun Neon Pink. This one is also super fun to accessorize. We paired it with a denim vest and iridescent strap sandals- both from Target. This last TWIRLY DRESS by Mini Boden we found on a trip to Nordstrom. The colors are perfect for summer and the material is so lightweight and breathable for warmer months. My favorite part about this dress though is the contrast embroidery detail around the neckline and the pompom trim at the bottom. From a distance this dress boasts a nice simplicity but up close it is anything but! Thanks for reading and Happy Shopping as always! Be sure to subscribe here at the bottom for everything kids, family, marriage, fashion, decor and more! I'm sure I've always been certain of this, but recent events have cemented this as truth for me- pie is a universal language that can solve just about any problem. Let me explain- A few weeks ago I implemented something called "Yes Day" in our house (blog post to come on this) which means that every other week Piper and Sawyer get a day where they can choose something to do and I have to say yes. Risky, I know. In any event, for Sawyer's yes day last week he wanted to go downtown to see the Giant Eyeball at the Joule. He had his heart set on this all week long and it was all he talked about. We packed up the car, drove downtown, parked and walked five blocks to the Eye. Much to our dismay, and to Sawyer's total and complete disappointment the park was completely blocked off for set up of an art festival after party. All of our enormous ocular dreams were crushed and our first "yes day" seemed more like a "no day." With an imminent crying fit and a mom-fail moment headed my way I said the first thing that popped into my head- "Hey kids! Who wants pie?!" Suddenly a little boys dream of touching a giant, vein bulging eyeball quickly faded and pie was the new cool. We walked an even more excited five blocks back to the car than the five blocks to the eyeball and took bets on what kind of pies they would have. Maybe it was my own sweet tooth speaking, or maybe it was the desire to get out of a loud, crowded, not-so kid friendly part of town, but Bishop Arts District called to me and I have to admit, our yes day was looking even more appealing post eye-ball. If you haven't been to EMPORIUM PIES in Bishop Arts, what have you been doing with your life? Piper and Sawyer both ordered chocolate pie and I of course had to order their signature pie which is an apple pie that doesn't even seem like it could be from this earth it's so good. I can honestly, truly say, it is the best piece of pie I've ever had. Like everything else in Bishop Arts, the building itself is totally unique and charming. 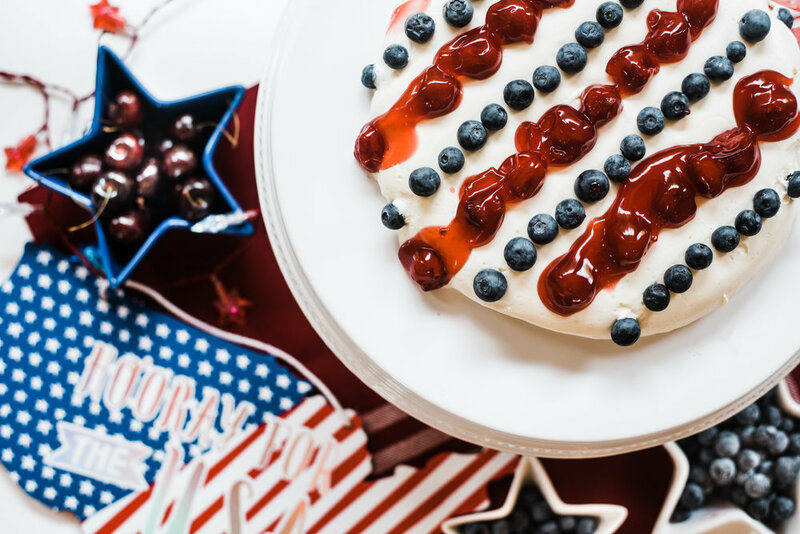 You can enjoy your sweet slice on the front porch or at the tables on the lawn with an adorable music sheet background- great for snapping some cute pics. Or if you're Sawyer, it's a great backdrop for making faces and refusing to take a cute pic haha! We decided that after pie our next move should be DUDE SWEET CHOCOLATE. Chocolate after pie made perfect sense to us and I plead the fifth on whose idea it was. We are chocolate snobs in our family and we can say with confidence that Dude Sweet Chocolate is one of the best handmade chocolatiers Dallas has to offer. Their selections are always unique and seasonal so it's a surprise every time we go in as to what concoctions they have come up with. It was hard to choose but we finally settled on their Flower Child Truffles. The flavors are present but subtle and the chocolate literally just melts in your mouth. We also grabbed the Cocoa Marshmallows and they may or may not have been gone before we even got home. One of the great things about Bishop Arts is that you can just keep wandering and finding cool places and things to see. We decided to keep going even though we were low on diapers and my mommy sense was tingling towards a blow out for one of the girls. Since Bishop Arts is so condensed we took the risk knowing we'd never end up too far from the car in case. We were glad we did because we stumbled upon RED PEGASUS COMICS which immediately flooded me with nostalgia and spoke to my Nerd Soul. I used to have an impressive comic collection as a kid and I was so happy to be able to introduce something to Piper and Sawyer that I had enjoyed myself so much when I was their age. We browsed the shelves and they discovered Super Heroes they had never even heard of before. Best of all when we left we rounded the corner and ran into one of the most amazing pieces of wall art. Bishop Arts is full of little hidden gems just like this, down alleyways and on backs of buildings. After our comic book browsing we had energy left for one more stop and with only one more place we decided to make it a gooder. We back-tracked a little to a mint green house that had caught our eyes earlier called THE LAUGHING WILLOW. An adorable little boutique complete with a porch swing and sidewalk chalk to keep the kiddos busy for uninterrupted browsing. I found what are now our favorite pair of baby moccasins for Lux and Ever and they had an impressive selection of amber necklaces which was perfect since they are both getting all four of their molars at once. Even Sawyer decided he wanted a necklace. Piper picked out some jewelry too and we enjoyed the vibes until the simultaneous "I need a nap now" meltdown started which as I mentioned before- wasn't as catastrophic as it could have been since we were only a block or two from the car. With the eyeball let-down now far behind us and our urban wanderlust fully fulfilled I can honestly say that Bishop Arts exceeded our expectations and rescued a little boy from abysmal disappointment. We loved this little area of town so much we plan to spend another few Saturdays trooping around discovering, adventuring and savoring chocolate and pie. When I heard there was going to be an actual MADEWELL store at Legacy West in Plano, excited would be an understatement for how I felt about this. 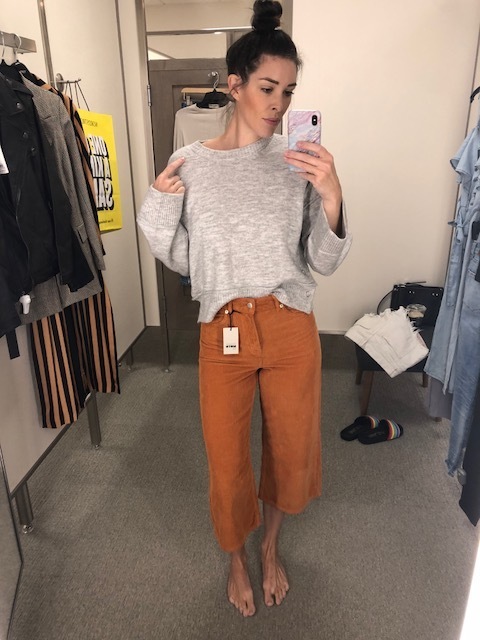 I always buy my basics by Madewell at Nordstrom and not that the selection isn't stellar, but a whole store devoted to one of my favorite brands within driving distance is a definite plus! Not to mention this past Sunday the store had a shopping party hosted by WE THE BIRDS. If you live in Dallas and aren't familiar with these Macaron making artists and Influencers, you are about to be! We The Birds are like those cool girls in school that transcended any social clique or definition of "cool." Those girls that had something mysterious and unattainable about them that made them intimidating and fascinating at the same time. But when you finally got to meet them you realize in addition to all those things they are also the sweetest most sincere girls who you really just want to have a sleepover with! It was a pleasure to meet them and try their amazing selection of macarons. Piper may or may not have eaten at least half of them! lol. While Piper was busy eating all the macarons and Sawyer was busy shoplifting jewelry (so this actually happened but no worries, we put back everything he swiped and had a good chat about what it means to steal lol) I was busy looking for some summer staples. I was immediately drawn to their AUDIO TANKS. They are so thick and textured and super stretchy. I loved the retro stripe and if you find something you love and it comes in black and white- ALWAYS get em! These tanks are perfect with a pair of cut-offs and sneakers like these PLATFORM CHUCKS from Nordstrom. Piper picked out this adorable CANDY PINK BANDANA which I plan to borrow for this outfit. Anyone else get a strong 90s vibe from this whole ensemble? I could swear I wore this exact outfit my first day back to school in 7th grade. I seriously love it and it gives me all the nostalgic feels. Can't wait to head back here for another less kid-distracted shopping trip. If only We The Birds could be there all the time to hang and eat macarons with! Happy Shopping friends and be sure to check out WE THE BIRDS on insta for your daily dose of "way cooler than me but totally ok with it cause they're also so friggin' likable!" haha! As a busy mom of four I typically need a quick one stop shop when it comes to shopping for myself. I don't always get the time to spend in change rooms so the vast majority of my shopping I do online and my favorite place to web-browse after my kiddos go to bed is REVOLVE. I know that I will always find something that I can get excited about and I love love LOVE the free 2 day shipping so the anticipation doesn't totally kill me. 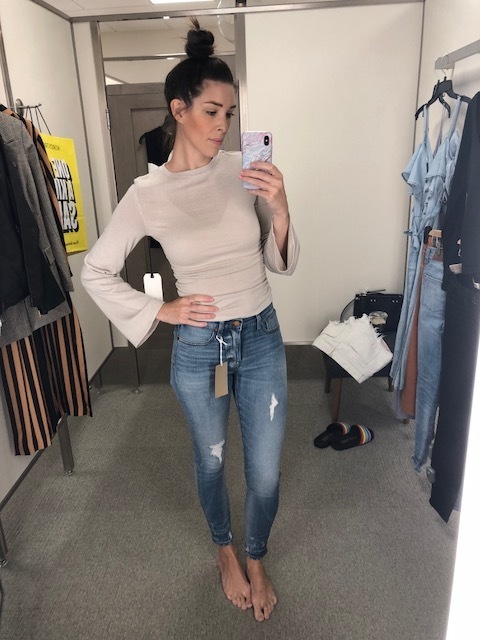 Since I typically have something in the works from REVOLVE week to week I thought it would be fun to do a regular "This Week From Revolve" post and share reviews and IRL photos. I'm starting my first REVOLVE post with this stunner of an outfit. I go bananas every summer for rompers and jumpsuits! So when I saw this FLORENCE JUMPSUIT by Tularosa I'm pretty sure I clicked "Add to Cart" before my conscious self even realized what happened (Revolve blackout is a real thing people!) I can happily report that the strap is adjustable and the fit was perfect. Hugs in all the right places with some give and stretch. The material is 100% cotton and wrinkles are imperceptible due to the texture in the fabric. Next in my shopping cart was this super duper fun WEEKEND BEACH BAG from L*Space. The raffia tassels totally sold me. 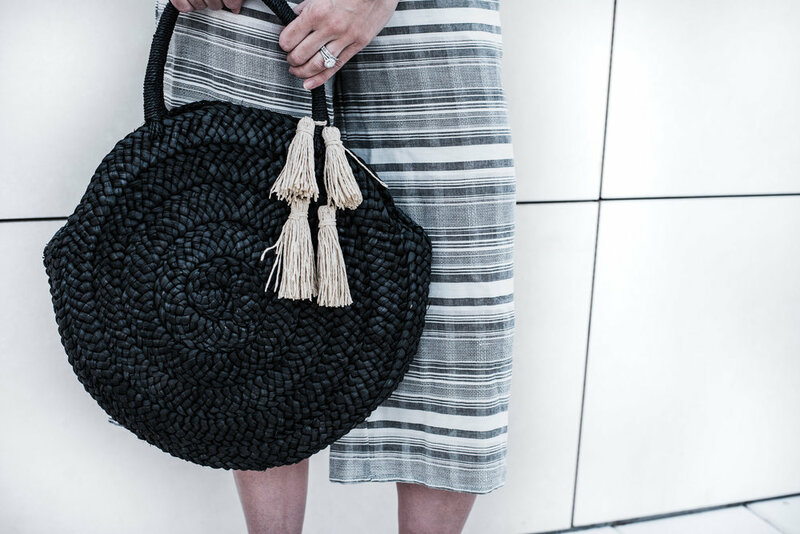 The bag also comes in the raffia shade as well. I love a multi-function bag and this one definitely fits the bill! 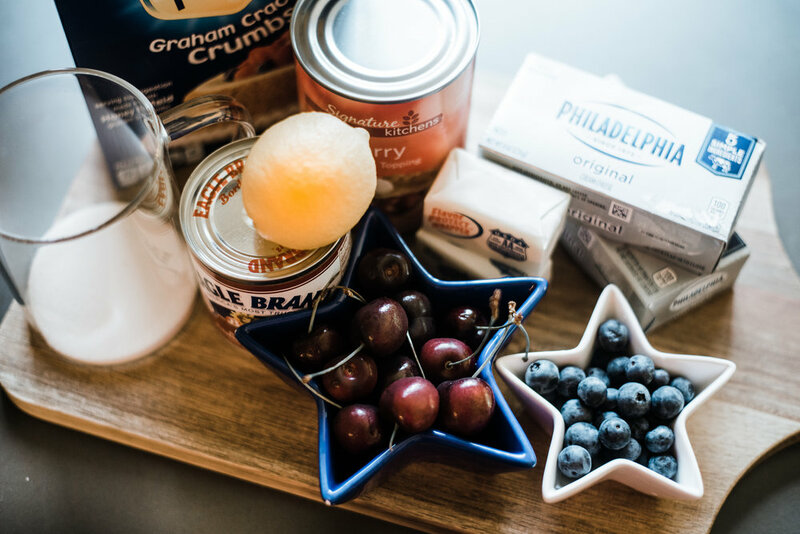 Brunch and a Blog Launch! So when I decided to start blogging I told myself I wouldn't blog my own fashion, and yet somehow here we are! Not only am I blogging my own fashion, but I'm launching my lifestyle blog with it! haha! But I also once told myself if I had kids I'd never order for them off the kids menu, and that I would someday give up Diet Coke entirely sooooo, basically- not at all surprising I guess. I just wasn't keen on the idea initially because even when I buy new things I still constantly go back to old staples and wear things I just can't seem to let go of from years ago. If you follow me on insta you'll likely see the same pair of black studded biker boots over and over. They've basically become like my own sort of trademark. They define so much of me and my personality and my style....annnnnnd they also happen to be about 4 years old with what looks like even more milage on them. The closer I got to writing content for this blog and the more I tried to steer away from writing about my own style choices, the more I heard "the calling" so to speak. 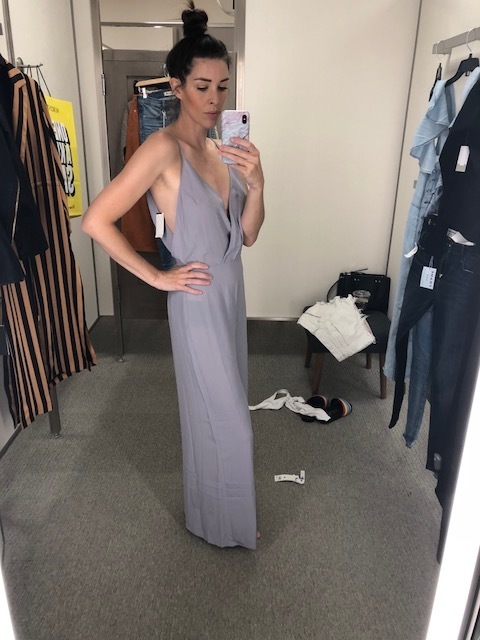 It likely won't happen often, but if anything, at least you can count on the fact that if I'm blogging about a fashion find- its because I truly freaking love it!!! So without much further ado- WELCOME LOVES, to my first blog post! AND to this amazing outfit I put together on a trip to the most magical place on earth. No, not Disney ha!- NORDSTROM! I went in search of a Sunday brunch outfit for me a my little mini-me. Side Note: another magical place on earth is Tupelo Honey at Frisco Star which is where we ended up for sweet potato pancakes and biscuits "as big as your face!" as Piper liked to put it. I'm a sucker for neutrals! This LEITH DRESS from Nordstrom is a minimalist's closet dream and so easy to transition from day to night. It also comes in a killer rust color. I wanted a relaxed day look for this dress so I paired it with one of my other favorite Nordstrom finds- this "RUMORS" DENIM JACKET by Free People. Its super soft and stretchy so it has that already broken in feel. Of course I never go anywhere without a NENA & CO convertible day bag! These convertible day bags can be worn 3 different ways. But be prepared to be sweating it out on drop day! These things go faster than Hatchimals in December! Even Piper has the Nena bug and loves to carry her little "Nenita." It is the smallest bag that Nena makes and although it's not necessarily meant for kids the strap can be shortened enough for a toddler/child to wear. Piper dresses herself most days and picked out one of her current Target faves- this adorable EYELET MAXI DRESS by Cat & Jack. And since I knew she would be chilly and steal my jacket as per usual, I packed her RAGS TO RACHES cardigan, just in case. Last but not least is these LINDSAY HEELS by Jeffery Campbell in natural. They also come in a grey suede which is equally amazing! I love Jeffery Campbell for many reasons but mainly because their shoes always have little details that really make them unique- like the intricate design on the back of these heels. They are still totally simplistic and neutral, but with a little extra edge that gets noticed. Thanks for reading and happy shopping!!! Be sure to follow me on insta @foxandfoundblog for more!